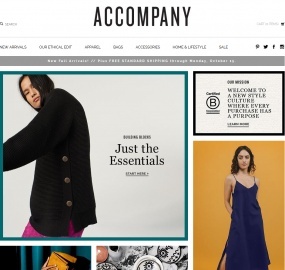 Accompany is a fashion and lifestyle brand. They scour the globe for the coolest, most beautiful and one-of-a-kind finds. Click Start Shopping to earn 8% Cash Back at Accompany.